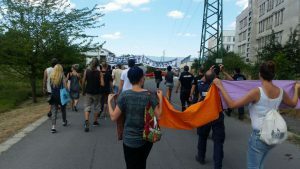 On sunday 10th of July, a solidarity demonstration took place in front of Busmantsi detention centre in the outskirts of Sofia. Local and international demonstrators gathered in Busmantsi and marched towards the detention centre to show their solidarity with the detained people and to demand the closure of the inhumane detention centre. 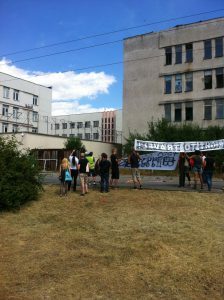 The detainees joined the chants for freedom, made a banner demanding “Freedom Now!”, and hung it out through the barred window. 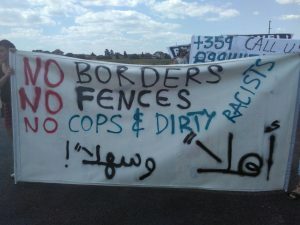 The protestors condemned the incarceration of people on the move, who try to travel to their destination and seek safety. The arbitrary detention of people, who have committed no crime, but entered Bulgaria on their journey to Europe is outrageous. 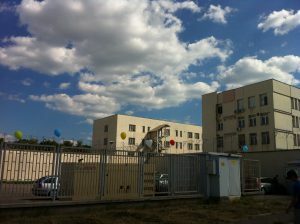 According to Bulgarian law, crossing the border illegally is a crime; due to this people are being held in detention. The protesters demanded that this law be abolished immediately. 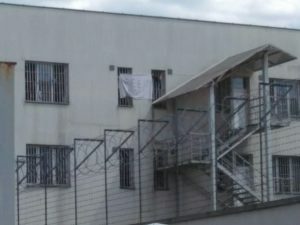 Furthermore, the protestors addressed the isolation cells within the detention camps, where people are being abused by the Bulgarian police with physical and psychological violence. 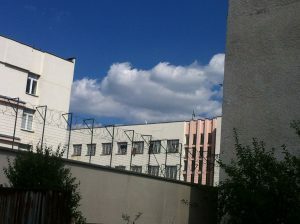 Busmantsi is one of three detention centres in Bulgaria. 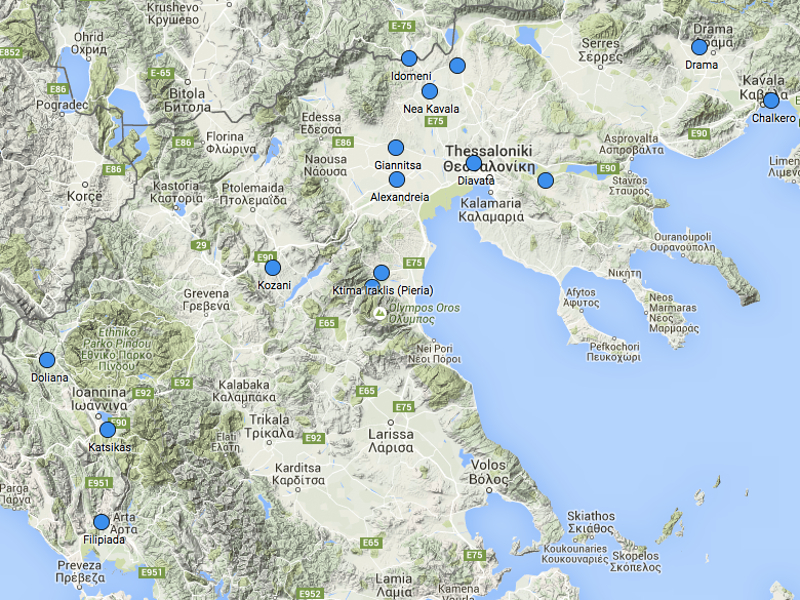 There are cases of detainees being held in these centres for up to 6 months, despite having submitted an asylum claim. Among the detainees there are families with children as well as unaccompanied minors. 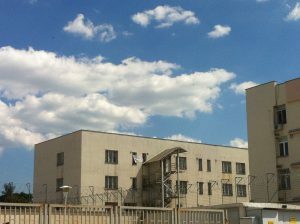 Bulgaria, as the first EU country bordering Turkey, is assuming the task of guarding the EU’s external borders. 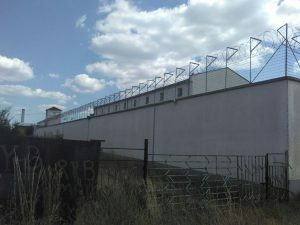 On account of the EU mandate and with financial support of other European countries, the Bulgarian borders are highly militarised and people without regularised status are often violently pushed back to Turkey. 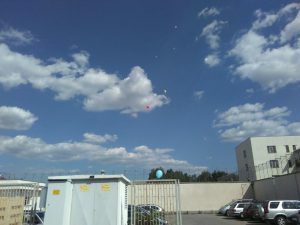 The protest showed solidarity with the people inside Busmanti, to let them know that they are not forgotten. 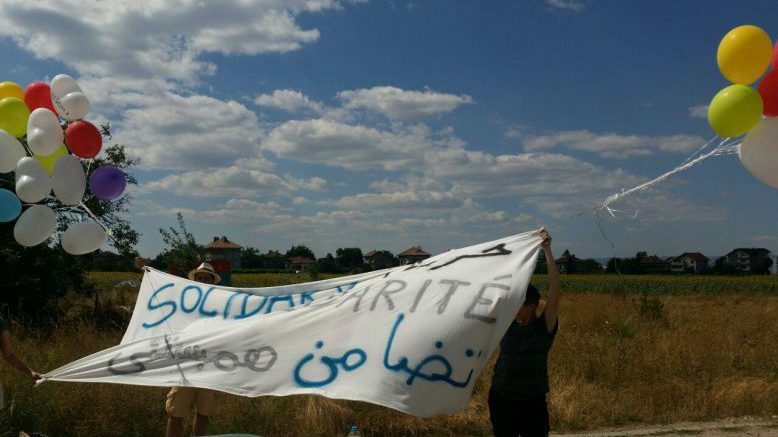 With a telephone number written on a banner the protestors established direct connections with the detained people. The detained lamented the arbitrariness of their detention and reported a lack of food and medical provisions. The protest was a sign to the authorities that the public is aware of what is happening behind the bars of Busmantsi detention centre and this will be used to pressure the responsible authorities.